General Manager, Antonio Bignone after a long career in the luxury hospitality in London, including Bulgari Hotel and Dorchester Collection has opened. 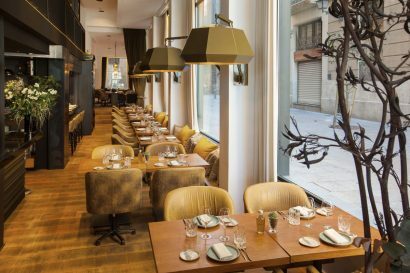 History, art, and pure sensual delights come together majestically at The Serras on Barcelona’s celebrated Gothic quarter. Here, breezes blow off the Mediterranean into large rooms with balconies that offer a front row seat to this trendy Barcelona neighborhood. 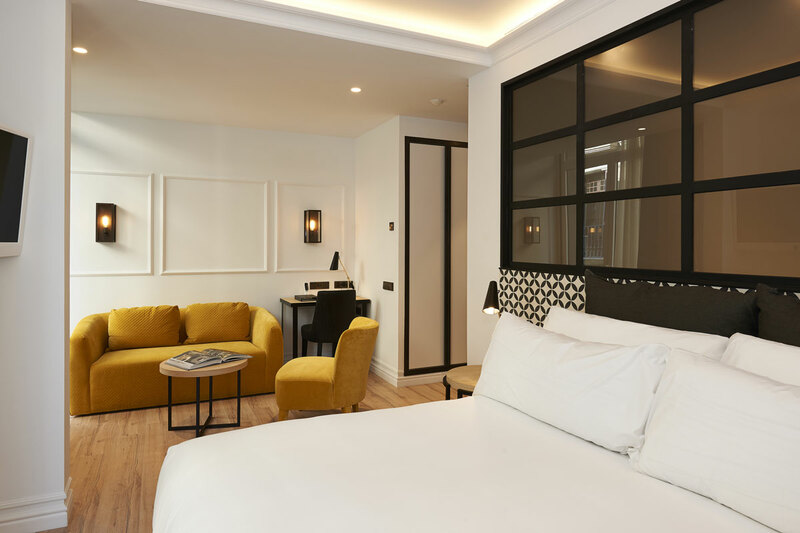 When you stay at The Serras Hotel Barcelona, you stay in a building dating from 1846 whose facade was designed by Francesc Daniel Molina, the architect who built Barcelona’s famous Plaça Reial. As if that weren’t enough, Pablo Picasso – one of the 20th century’s most renowned artists – had his first studio in our building in 1896 when he was only 15 and painted Cience and Charity, one of his most famous paint of the period. This elegant 5-star GL boutique hotel overlooking the new luxury Port Vell alongside the Mediterranean Sea, offers a unique hideaway with a modern understated décor. 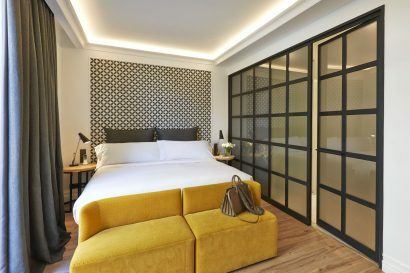 It boasts a cool, trendy atmosphere, world class amenities and dedicated personal service for a truly memorable hotel experience in the first studio of Pablo Picasso on vibrant Barrio Gótico. 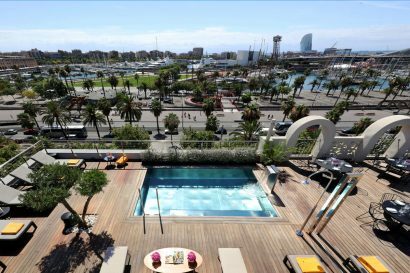 Superbly located within walking distance of Barcelona’s major attractions, just 10-15 minutes away from Barcelona’s golden beaches and numerous cultural landmarks. It is a 7 minute walk from Las Ramblas, 8 minutes from La Catedral, Santa Maria del Mar Church, El Born quarter and the Picasso Museum. The Serras Hotel is the perfect place for exploring the city or enjoying a relaxing getaway. Visit el Born – village feel neighborhood, full of shops, where you’ll also find the Picasso Museum, the picturesque Santa Maria del Mar church and a colourful market; The Cathedral; Boqueria Market or Barceloneta – known for its sandy beach and the many restaurants and nightclubs that line its boardwalk. All within walking distance from The Serras. Pablo Picasso – one of the 20th century’s most renowned artists – had his first studio in our building in 1896 when he was only 15 and painted Cience and Charity, one of his most famous paint of the period. You can find the paint in the Picasso Museum of Barcelona and The Serras has sponsored the restauration of the paint. 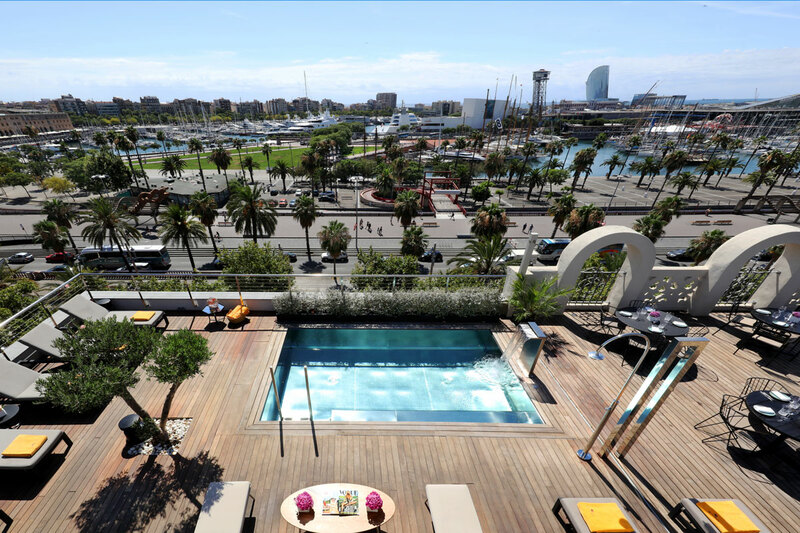 The Serras Hotel Barcelona welcomes families and understands their needs. 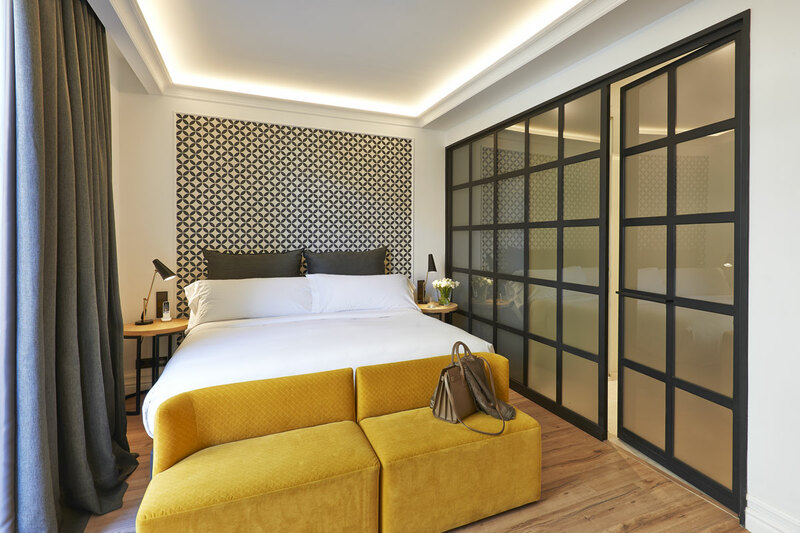 We have family rooms that give parents privacy while ensuring your children’s wellbeing, connecting rooms and two-bedroom suites. We integrate this appreciation of family needs into our tailor-made approach to service. Our neighbourhood is also family-friendly. Our bright, spacious Superior Rooms are ideally appointed to satisfy the needs of the discerning business or leisure traveller. The modern decor combines cool contemporary luxury with a high level of comfort including climate control and soundproofing. 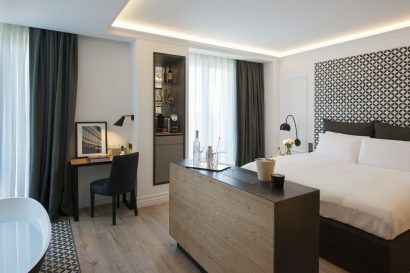 These unique rooms all feature charming balconies overlooking the splendid Ciutat Vella. Our Grand Deluxe Rooms are perfectly appointed to satisfy the needs of the discerning business or leisure traveller. The modern decor combines cool contemporary luxury with a high level of comfort including climate control and soundproofing. 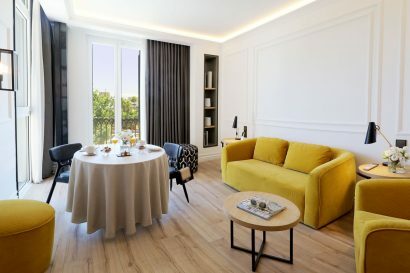 These unique rooms boast charming balconies affording stunning views of the Mediterranean Sea or Ciutat Vella. These superb loft style Junior Suite are remarkably spacious and beautifully appointed to suit the needs of the most discerning traveller. 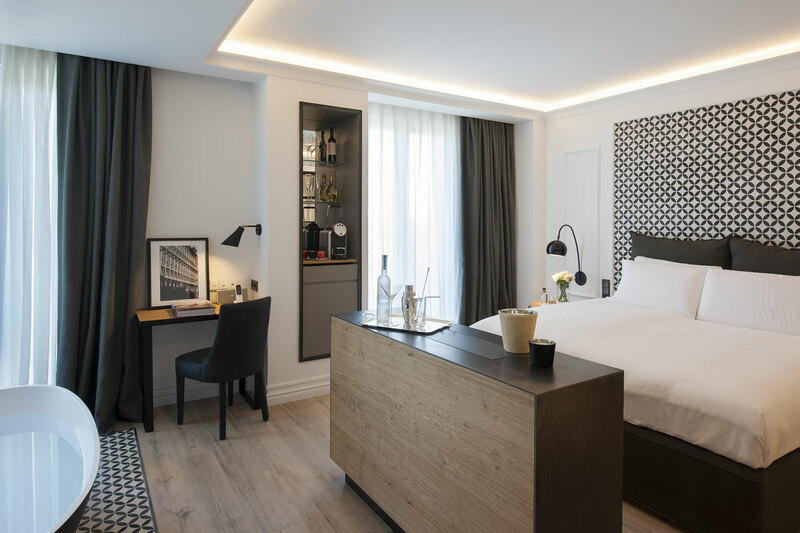 Each Junior suite boasts a chic, modern living area and large double bedroom, both with balconies overlooking Ciutat Vella. Our designer’s signature use of materials, such as tiles decorated with a Barcelona theme, add an original touch. 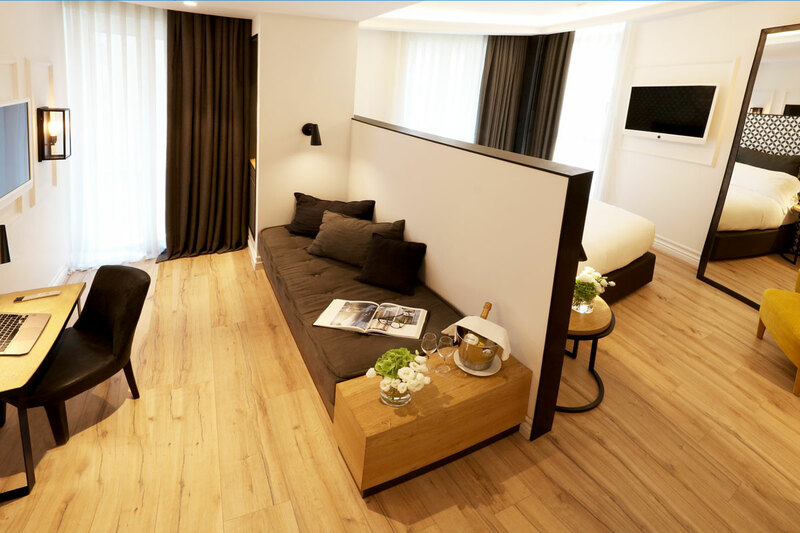 All Junior suites come with double glazing and private balconies overlooking the magnificent Ciutat Vella. Our superb loft style Junior Suites Sea View are remarkably spacious and beautifully appointed to suit the needs of the most discerning traveller. 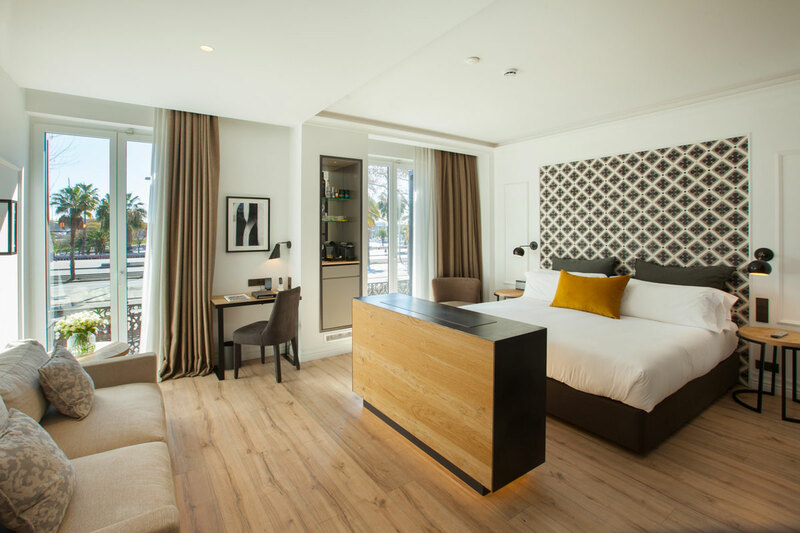 Each Junior Suite Sea View features a large double bedroom with a living area ideal for relaxing, enjoying a quiet meal or a cosy in-room breakfast. Our designer’s signature use of materials, like the tiles decorated with a Barcelona theme, add an original touch. 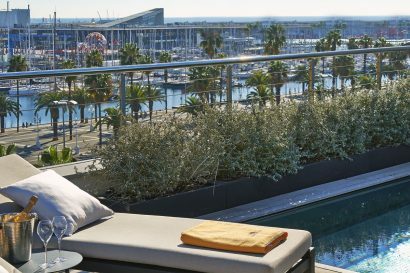 All Junior suites Sea View come with double glazing and private balconies overlooking the beautiful Port Vell of Barcelona. Our large and luxurious Suite Mediterraneo boasts 2 balconies and affords stunning views of the Mediterranean Sea. This beautiful, spacious suite features a King bedroom with sitting area, as well as a spacious lounge with dining area. Modern and truly elegant, the Suite Mediterraneo offers all the comfort you need for a wonderfully relaxing stay in Barcelona. A magnificent suite with two bedrooms and a separate living room. The master bedroom and living room feature private balconies offering stunning Mediterranean Sea views. This Grand Suite, designed to suit the needs of the most discerning traveller, boasts top quality amenities and services. It offers business and leisure guests a large living room with dining and lounge area, two double bedrooms, and three fully-equipped bathrooms for extra comfort and privacy. 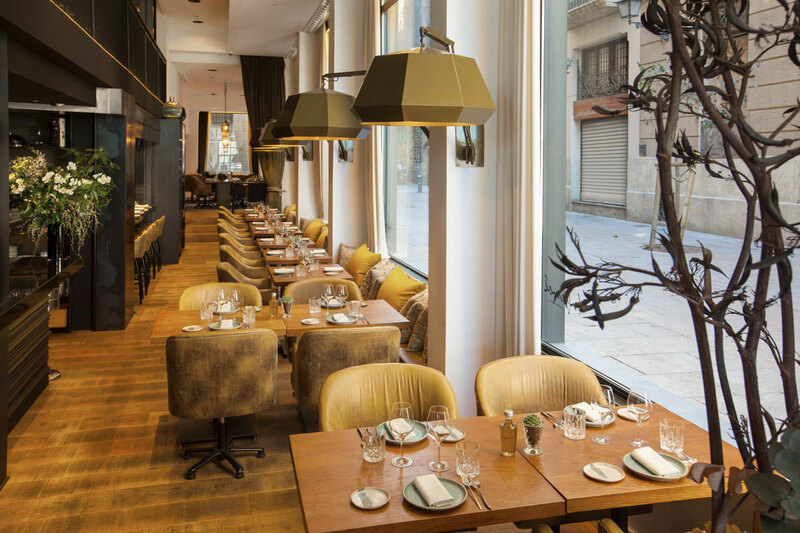 Following the huge success of his family-run establishment in Girona, our Michelin-Starred Chef Marc Gascons has created a menu that has been described as fresh, young and informal, but very much Catalan and Mediterranean in style. Our restaurant has a team of twenty people and delivers a seasonal menu designed for sharing, consisting of locally sourced produce from the land and sea. Everything is designed to make guests feel relaxed, from the open kitchen and grill to the comfortable, personal atmosphere. The Serras has a beautiful rooftop overlooking the Mediterranean and Port Vell Marina, featuring a cocktail pool as well as a gorgeous bar made from wood, iron and stone. 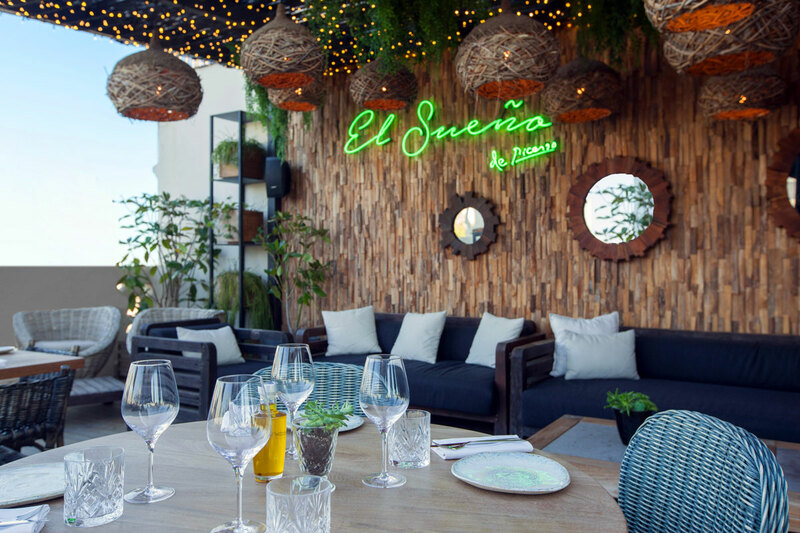 We serve drinks, cocktails and a selection of sharing plates and healthy food including tartares, salads and paellas. Our lunch and dinner menu is comprised of fresh, light meals created by our Michelin-Starred Chef Marc Gascons. Cocktail bar open all day. Live DJ Sessions on weekends. Available for private hire. Maximum capacity 80 people for cocktails, 30 for sit-down dinner. Pool & sunbeds. *During the cold months we only serve drinks at The Rooftop. 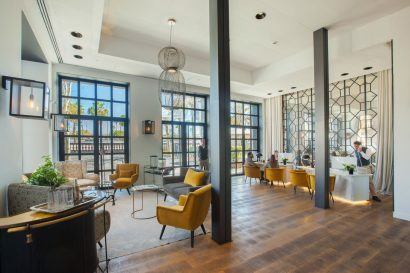 Our mezzanine bar Le Nine, which overlooks the lobby and restaurant, offers a relaxed atmosphere that makes it perfect for a business meeting during the day, a drink before dinner or a social evening. From morning coffee to a pre-dinner aperitif, with music and lighting that changes as the day turns to night, this bar will suit your every mood and stays open 24 hours a day. This is the private room in the Informal Restaurant with a boardroom table for up to 20 people. It can also be hired for cocktail receptions.This room boasts 2 separate entrances, one through the hotel lobby and the other, more private one, through Carrer de la Plata. This open space bar can be hired for lunches, receptions or meetings of up to 50 people standing and 28 seated. It is ideal for cocktails and dinners with selected dishes from our menu signed off by our Michelin Star Chef Marc Gascons. 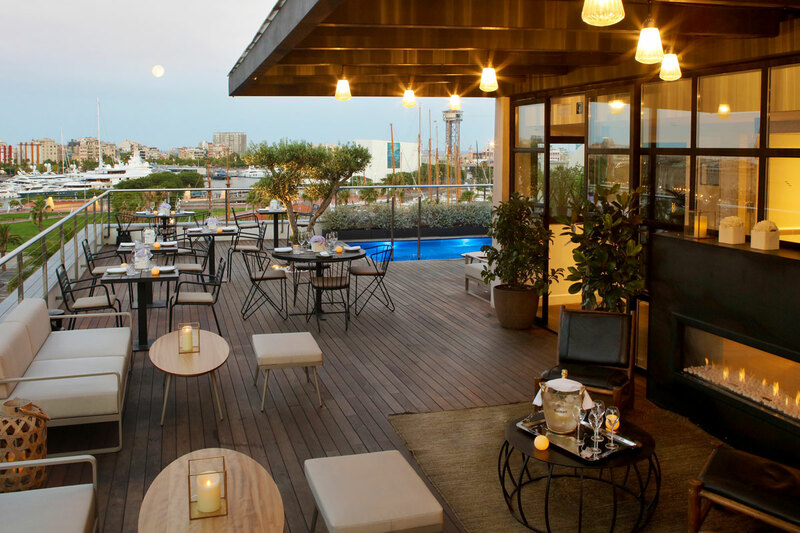 Our sky terrace can seat up to 30 people and is also bookable for cocktail receptions of up to 90 people. A private area can be screened off for small meetings and parties. We offer personal Fitness or Yoga trainer upon request.